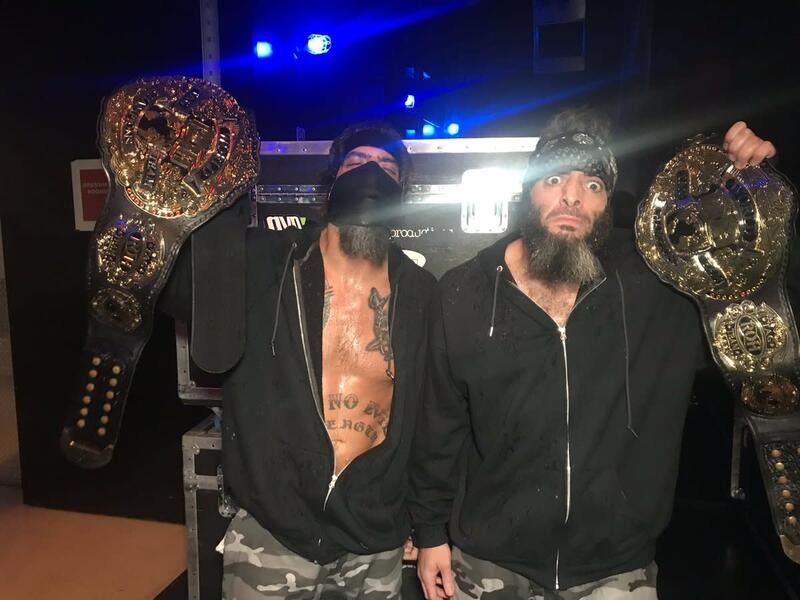 ROH posted video of a promo today where The Briscoes said they're invoking their rematch clause for a Tag Team title rematch against Villain Enterprises (PCO & Brody King) at Road to G1 Supercard: Baltimore. PCO & King won the ROH Tag Team titles by defeating The Briscoes in a no disqualification match at last week's 17th Anniversary pay-per-view. The ROH Tag Team Champions facing IWGP Tag Team Champions Guerrillas of Destiny (Tama Tonga & Tanga Loa) in a title vs. title match with both sets of belts on the line has been announced for G1 Supercard at Madison Square Garden on Saturday, April 6.